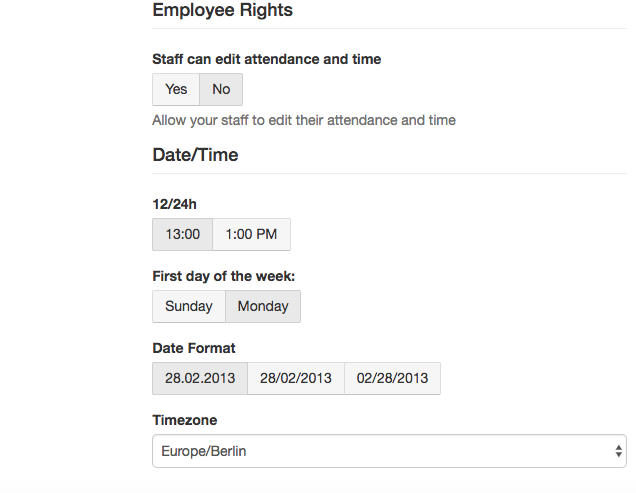 In the menu function 'General' you have the possibility to decide whether or not your employees should be allowed to correct their working hours in the reports section. Here you can also adjust the timezone. This can be important for example when you emigrate to another country. 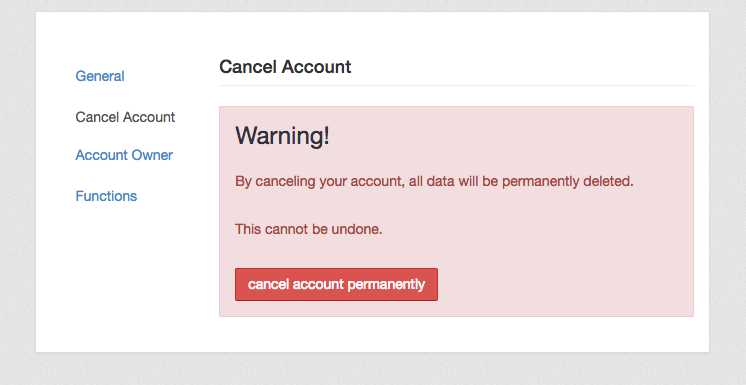 'Cancel Account' lets you delete your STAFFOMATIC account irrevocably. In the third option 'Account Owner' you can chose an account owner from the list of admins. 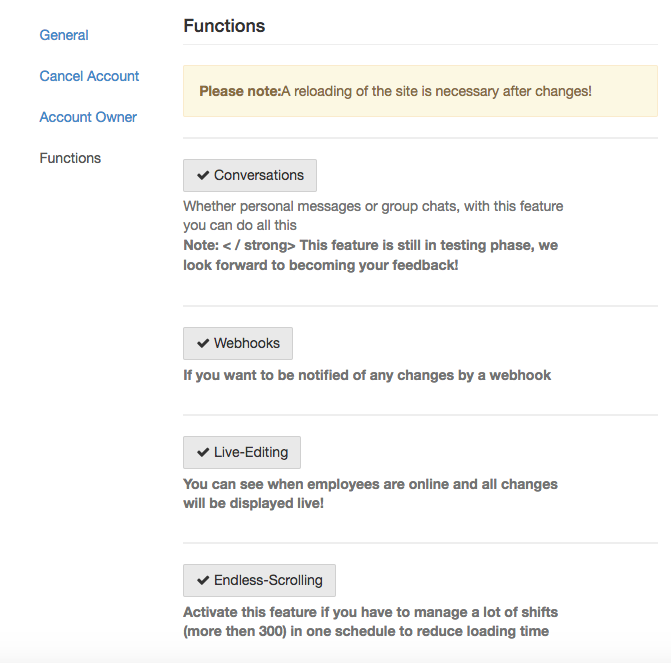 In 'Functions' you can for example activate webhooks or endless-scrolling.